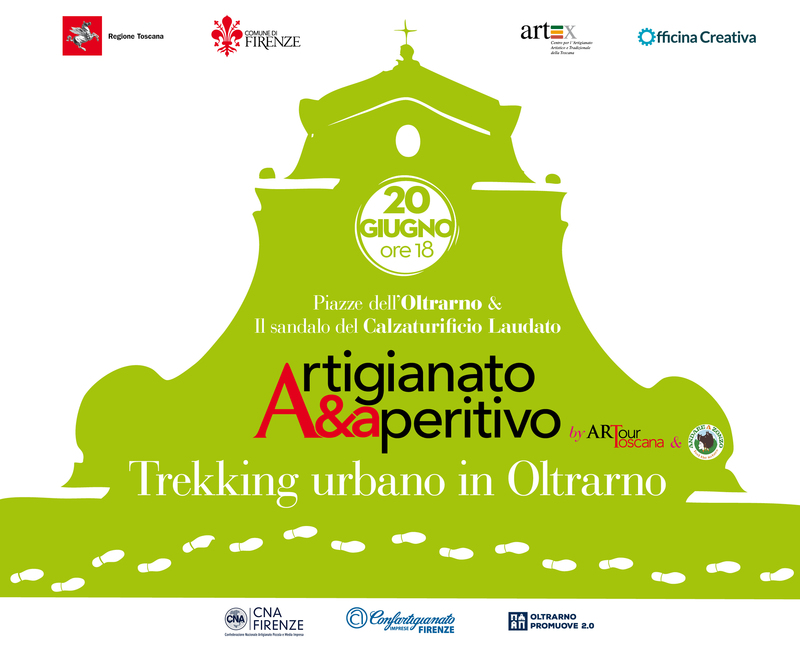 Artigianato&aperitivo: on June 20th our last very “summery” itinerary: piazzas, sandals and beer. On June 20th, Artigianato&Aperitivo says good-bye with the last itinerary of this first series. 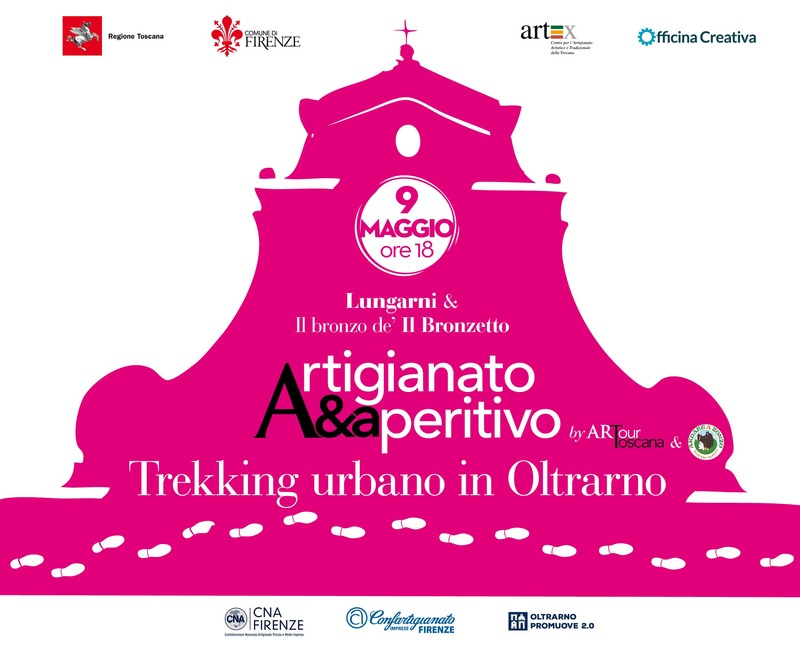 It will be a meeting with a summer theme: we will end in style with a visit to the Piazze of the Oltrarno, a tour amongst history, architecture and interesting figures. We meet at 6:00 PM at Piazza Pitti. 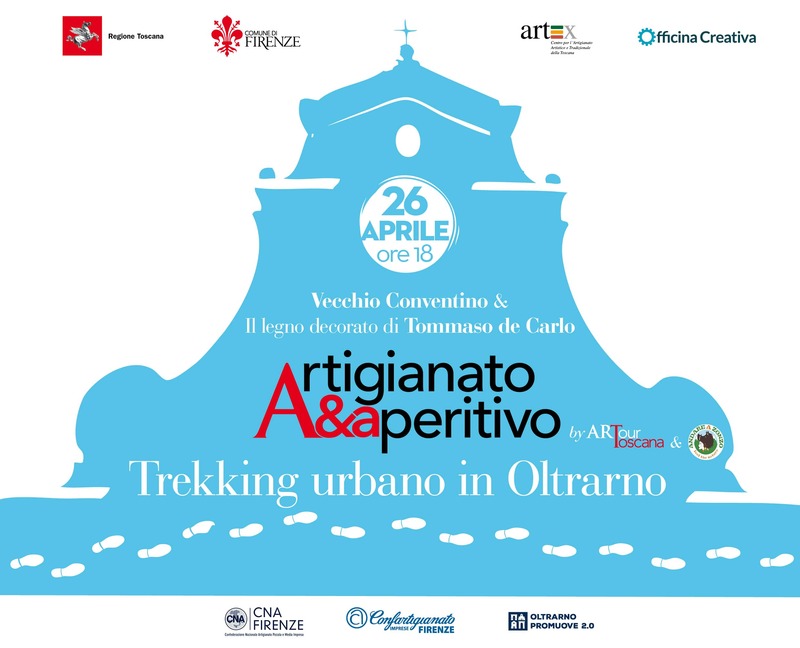 Artigianato&aperitivo: May 25th at 6:00PM, the “precious” urban trekking meeting in the Oltrarno. 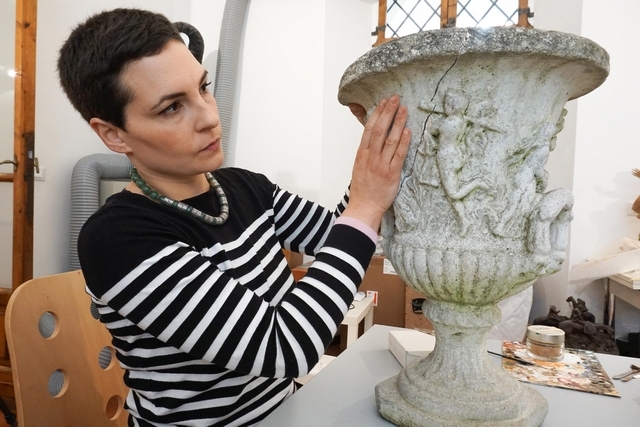 The historic city walls and the contemporary jewelry by Yoko Takirai and a special visit to PREZIOSA, Florence Jewellery Week at the Arti Orafe – Jewellery School. Drinks at Il Santino. The Liberty in Florence, Mireille Valentine’s Florentine “commesso” and an original pre-dinner drink at S. Forno. 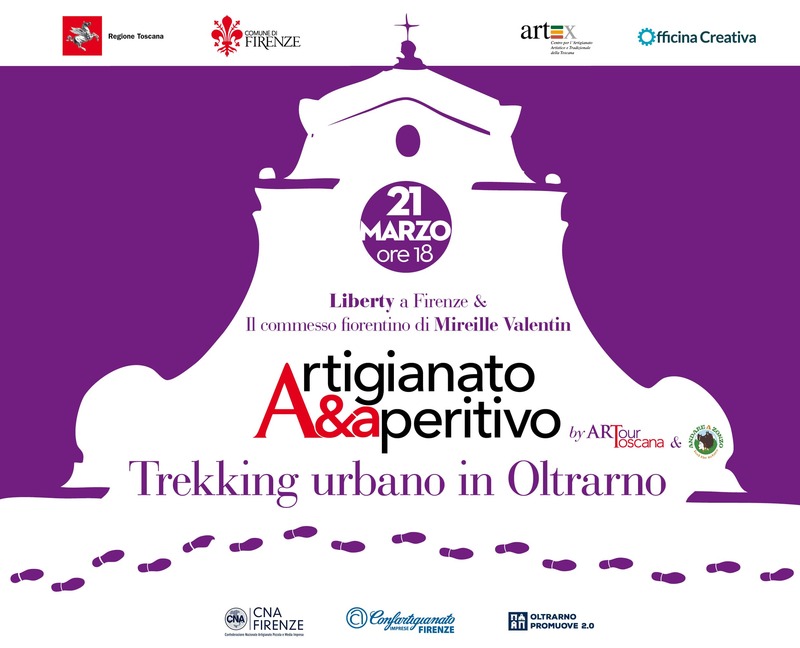 On March 21st, after the success of the first installment, we meet for the second time to follow an itinerary that starts at 6:00PM in Piazza Tasso. “The history of San Frediano and the bronze of Banchi Duccio Bronzista”: on March 14th we start with the first itinerary on the program. 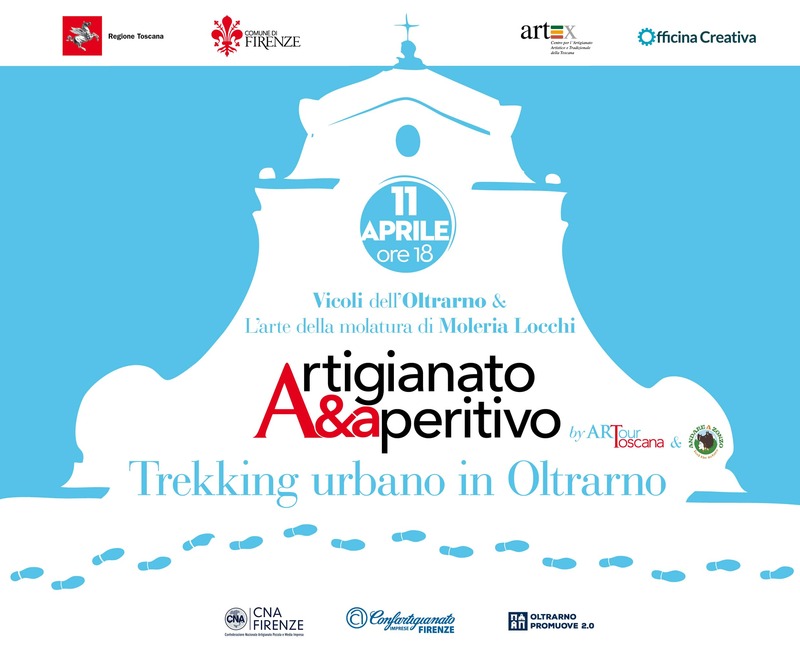 We meet at 6:00PM in San Frediano, an opportunity to practice urban trekking discovering one of the most authentic neighborhoods of Florence, the Oltrarno. 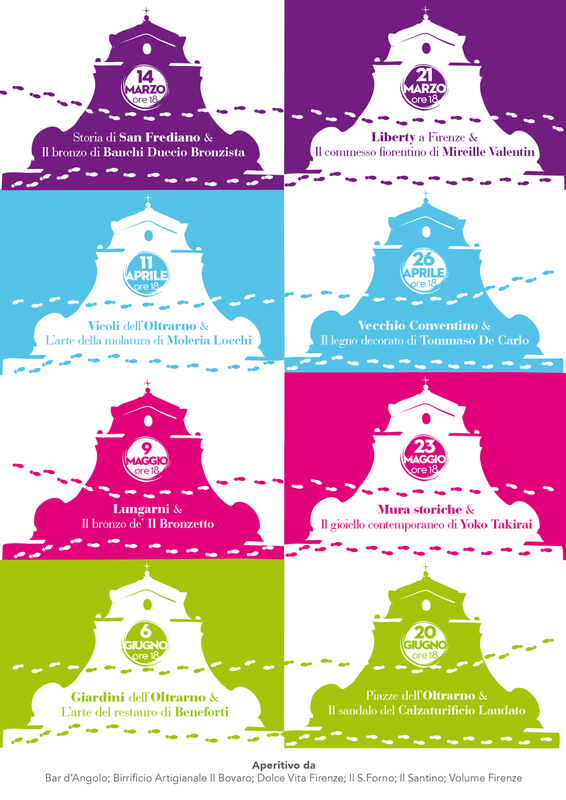 Artigianato & Aperitivo: here is the program!